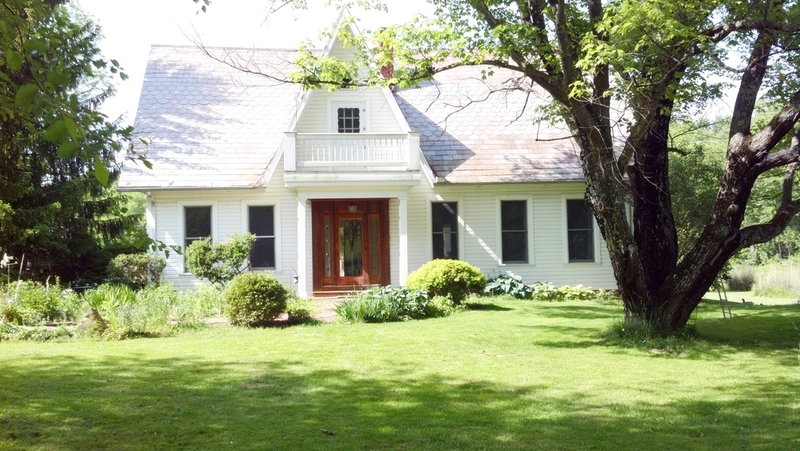 On this page we will share history about our farm and it's previous caretakers, we are always looking to uncover more facts about this beautiful property. 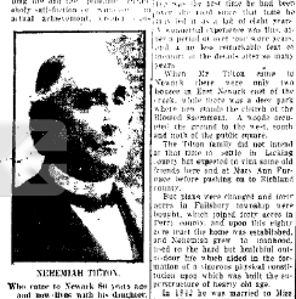 March 26, 1914, this appeared in a local newspaper (Newark Advocate), an article about Nehemiah Tilton, then one of Newark's oldest living residents (94 yrs). Nehemiah came to Licking county with his parents John and Sally, from New Jersey. The Tilton's had no intention of settling here, but obviously found this valley (or hollow) as enchanting as we do, so they purchased the land and established the farm (in the 1820's). Nehemiah grew up in our house and eventually took over the farm, with his wife Mary, they called it Shepherd Valley. One of the great things from the article is that Nehemiah mentioned his secret to a long healthy life was that he worked hard outdoors, and ate heartily, but since no longer working hard outdoors he ate only healthful foods in only the necessary quantities to sustain him, believing that a lot of people "eat themselves to death", very wise indeed. The article goes on to mention what a pleasant and humorous conversationalist he was, and how sharp his mind was. Sounds like a great man indeed.